I'm designing again! Twice a year or so, I'll be releasing patterns under my new 'akabini' label. All my patterns are available as digital-download, high-quality PDF files. akabini patterns are available on Ravelry; unpatterns are available on Patternfish (coming soon to Ravelry as well). Come join us in the akabini & friends Ravelry group for knitalongs, pattern support, and general mayhem. 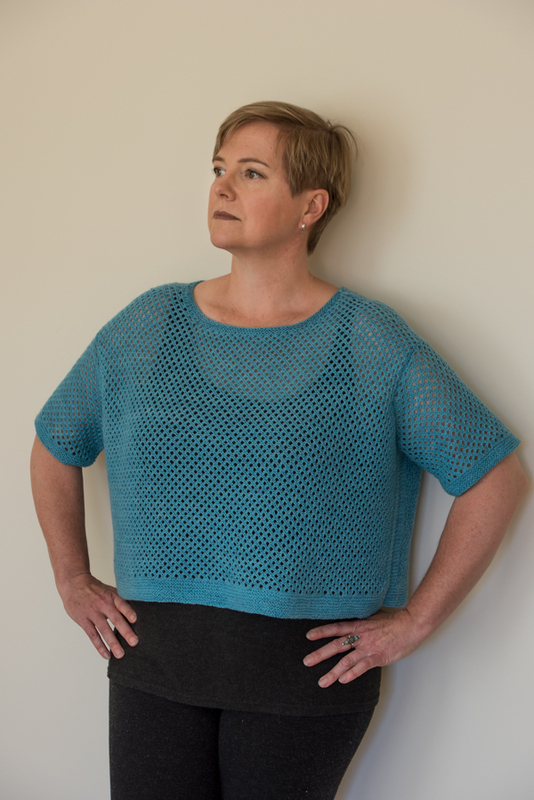 Spring 2016 saw the release of Let the Light In, a boxy popover in a simple mesh lace stitch. Three sizes, to fit busts from 30"-50". Yarn: Blue Moon Fiber Arts Silky Laci or Laci (900 yds/skein); 1 (2, 2) skeins. Needles: US 6, or size needed to get gauge in Irish Mesh Lace stitch. Gauge: 27 sts x 34 rows = 4"/10cm in lace pattern. Construction: Two body panels are worked from the bottom up (front and back are the same). Sleeves also worked flat, from the cuff to the shoulder; increases are worked into garter-stitch border at underarm. Neckline is picked up and worked in the round on a smaller needle after pieces are blocked and assembled. Lace pattern stitch instructions are written out in each row; no chart-reading skills necessary. Suitable for the advanced beginner. 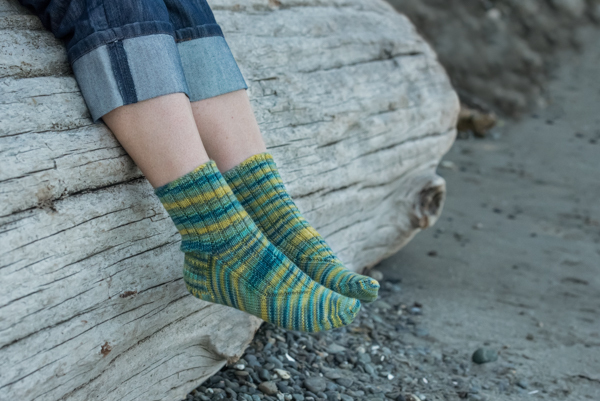 And for those of you who are always on the lookout for a new, interesting sock pattern: Keystone Socks! 3x1 rib from the cuff flows onto the instep before decreases taper it down to a point. The taper is balanced by increases under the foot, which create a supportive arch shaping and an interesting lift to the bottom of the foot.